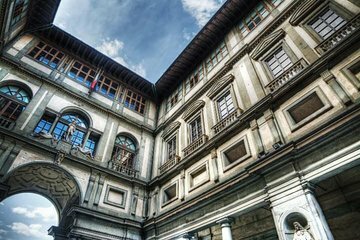 Visit the famous Uffizi Gallery in Florence on this 90-minute morning tour. Housed in the former offices of the Medici family, this gallery displays works from the Middle Ages to the Renaissance like Giotto, Botticelli, Leonardo da Vinci, Michelangelo, Raphael, and more. Listen to informative commentary from your guide about how Florence is considered to be the birthplace of the Renaissance and the different artistic techniques used during this era. Definitely helped skipped the line waiting to get in. Nice tour.